I’m coming out of the closet. For those who know me well, I came out of the closet a while ago, painted it, decoupaged it and upholstered the matching chair beside it. I’m outing myself as a lover of ‘doing things up’, and that now means myself as well. My Mum was the expert. 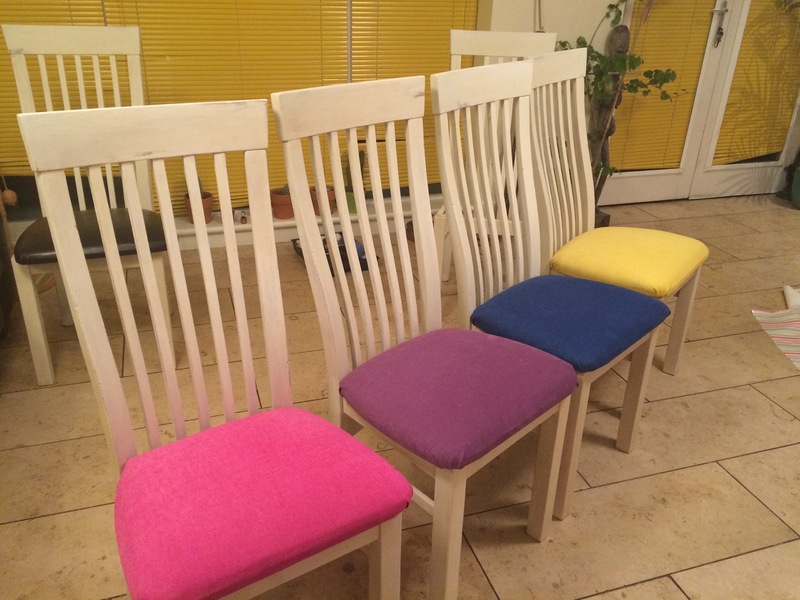 She bought old chairs in the charity shops and reupholstered them. I have the little nursing chair she made once (the cat sits on it now in the evenings). I have her wicker chairs that she bought second hand and brushed with Bright Green paint and upholstered in Bright Spring fabric that sat in the sun room. A couple of years ago, in the limbo grief state of missing the woman she was, while caring now for the woman she is, I asked my dad for them and brought them home. Sometimes you have to take a bit of the past and brighten it up for the future. 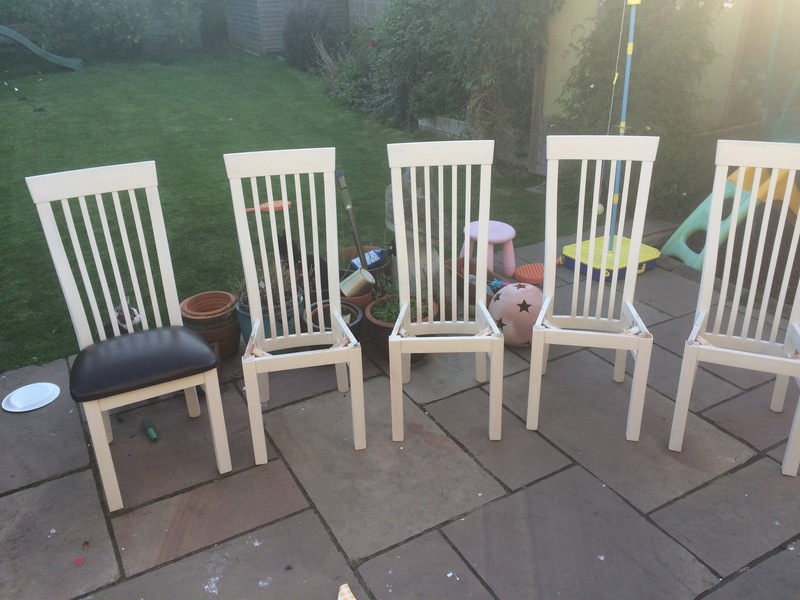 So I took them apart, photographing every step so I knew what order she had done it in, picked out every tack and then painted them, and reupholstered them, putting everything back just as she had done and nailing back every tack she had once nailed. There was comfort in retracing her handy work. Mum knitted and so over the years I have knitted. I have never learned to do anything as well as she did though. The cushions she made me from left-over curtain material ten years ago have outlived at least five lifespans of random cushion covers I have made over the years. But I am slowly realising that bringing new life to old things should be done well and done to last. And so, as I let go of the past, I feel a desperate urge to repaint and upholster bits of my life. 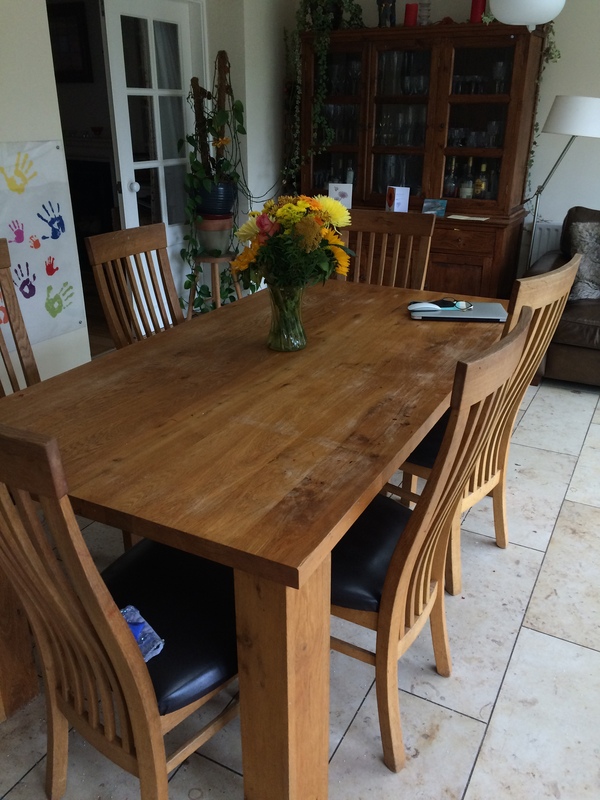 Mum and Dad bought our table and chairs for our wedding present and for 13 years they have served me well – early marriage dinners for two, mulch splattered baby years, manner-making toddler years, family dinners, dinner parties, birthday parties, Christmas parties, homework table, my desk table. I have written a book sitting at that table. My Mum and I had endless cups of tea at that table. My children have grown up at that table. My marriage began and ended at that table. And so, as part of my painting up and upholstering of my new life, I decided the table needed a change. I need to breath new life into my house, a house with memories and past. I need to give it a new future along with myself. So the day I signed my book deal contract I bought myself a new picture. It is captioned, “I am so full of love” by Yvonne Coomber and I wanted it to represent the family I now have with the girls in this house. We live in the kitchen, and I want it to be a bright and happy place for them, full of colour, full of baking, full of laughter, and most of all, full of love. So when the picture arrived, it inspired me to take the table to task. 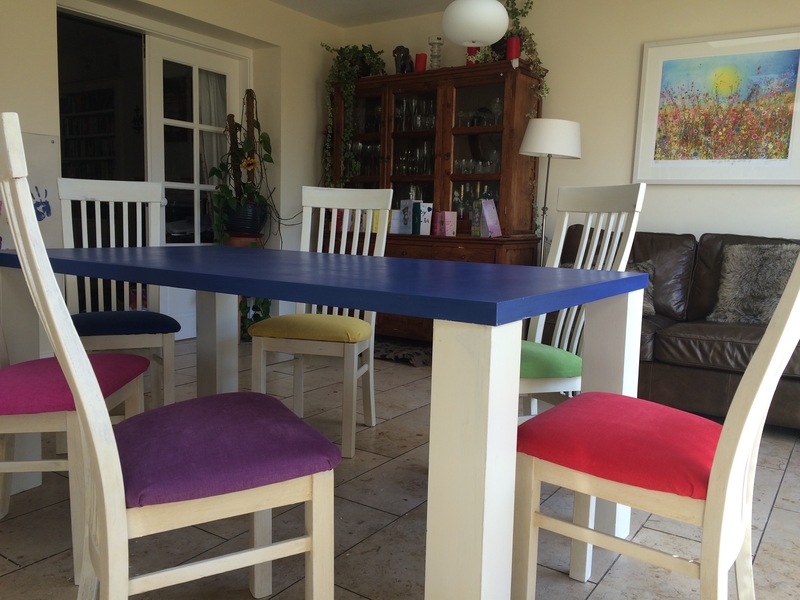 Last weekend, my girls left to spend the weekend with their Dad, and, still not fully at ease with being alone, I broke the silence with my sweat as I toiled under a beautiful blazing sun and started to transform my table, my chairs, my kitchen, and really, my life. It took me 4 days and 12,586 strokes of paint and varnish, and a few hundred upholstery tacks. It’s going to take me a little longer to repaint and upholster myself. But I’m getting there. I have a kitchen full of love, and a life full of love, and a future that I’m going to paint bright. Clever, talented you. I feel the need to be involved and to say that I was there, when you lugged the paint through Temple Bar. I can claim that bit as ‘our time’ in this wonderful production. ‘Making memories’ is something I relate to. This piece is such an inspiring take on moving forward. Keeping the past but changing it to the new. The table looks amazing and the blog is astounding as always. Thanks Mrs – that’s right – I had to lug that bloody paint to a book launch! I have a feeling you’ll be part of lots of new and interesting things in my bright future life!